This company offered website and logo design services. Logo design was one of the most important things in this project. 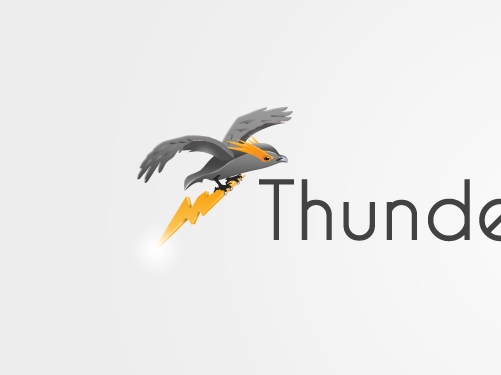 One of the major issue was that this company name(Thunderbird Electric) was quite similar with name of mail client from Mozilla, so we needed to create logo which doesn’t look like theirs logotype. We considered, that the logo should be unique, original, fresh and represent quite good what company do. So when people will see the logo, it should attract the attention and get stuck in their memory. In process of work we decided that in our concept we will use some element of electricity, like picture of thunder and bird together. In the end we came to the idea that bird will carry the element of thunder like lightning. Also in this project we had to create website for them. They wanted simple layout, with new design to put all information about them and theirs services. We also added there a blog and contact form.